I read an article today in The Star - well, Gamuda Land had purchased a 4.86 acre freehold land in Kelana Jaya for about RM 95 million, which will be developed into a mixed commercial development, comprising retail as well as office suites, with an expected gross development value of about RM 600 million. The residential components are expected to be selling at RM 750 psf while the retail shops are estimated at an average selling price of RM 800 psf. Well, this represents very good news for developments and landowners within the Kelana Jaya vicinity. The RM 95 million acquisition translates to about RM 450 psf for the land - which is quite a big jump, setting a brand new precedent in the area. Back in February 2004, Glomac Berhad purchased a 4.17 acre plot from Hicom Menang Properties for about RM 27.4 million - which translates to about RM 150 psf. That site is what they call Dataran GLOMAC today. Recent searches indicate that Dataran Glomac's 1st floor offices are fetching a good RM 2,300 / month rental, and full double storey shop offices are going for about RM 1.4 million per unit. Then sometime in May 2005, WCT bought their plot - about 12.9 acre plot for about RM 83 million - that translates to about RM 147 psf. 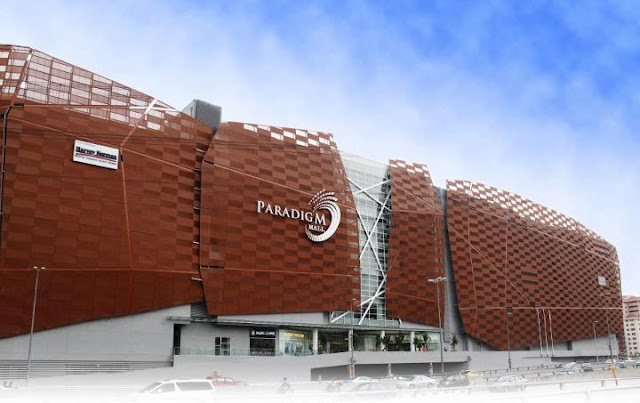 Well, this site is what they call as Paradigm Mall today. They are commanding an impressive blended rental rate of about RM 6 psf, not bad for a pretty new mall. In 2006, we ourselves bought a plot in Kelana Jaya area too. The site for Tierra Crest - about 1.82 acres, was purchased for about RM 7.2 million - that is about RM 90 psf. The building is due for completion next year, and tenancy is almost confirmed already. 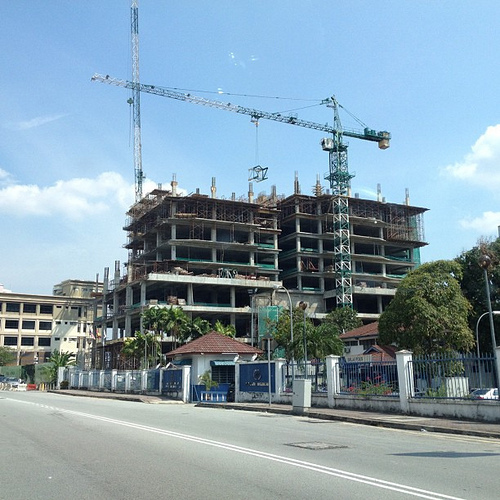 Gamuda's purchase has made many developers, and perhaps land owners very happy. An improved valuation, coupled with an even more improved expected selling prices, are able to set new benchmarks. As much as developments are concerned in this area, I would think that Kelana Jaya will be setting new benchmarks while also becoming the new jewel in the Petaling Jaya area.